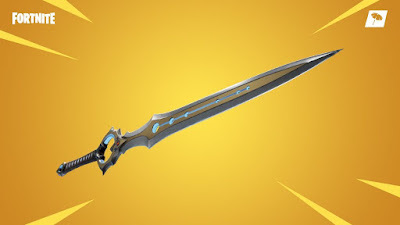 Infinity Blade New Weapon in Fortntie. Infinity Blade has finally arrived in Fortnite . The legendary blade has ,instead arrived a new weapon in Fortnite . It arrives as part of a brand new mode known as Close Encounters . this is a snappy new mode that favours close quarters combat . You will mostly fight with shotguns but you can also grab the New Infinity Blade to battle enemies with . Infinity Blade weapon has 75 damage on each attack ,grants you an increased health and shield pool ,and heals you whenever you eliminate a foe .